Feel free to use these birthday invitation poems with your invites. It's certainly a creative and memorable way to invite your family and friends to your next birthday party. The first one is meant to be a very general invitation poem, that may apply to virtually any birthday situation. Just don't forget to change the sample name, time, and location if you decide to use it. Personally, my favourite invite is probably the 5th one, because it's funny and has the potential to grab their attention. If your guests laugh while reading it, I'm sure they won't forget to attend, and will make every effort to do so. and we're all very excited. will be easy to find. if it's not in your mind. That was a fairly simple one. You may convert it to first person, if it's your birthday and you're sending out the invites. The next one is a short birthday invitation poem that you may share with all the guests if you're planning a party for a friend. The party doesn't need to be super formal. Even if you are all just meeting up at a restaurant or local hang out. You could share it on Facebook or email it to the guests if it's meant to be a surprise. If your child's birthday is just around the corner, you may want to use one of these bday invite poems for kids. I used a girl's name in this poem, but that doesn't mean you can't use it for a boy's birthday. Both of these kids invites may be used for both girls and boys. you'll bring out the sun. if you will be there. you'll play as a team. So what did you think of that one? It was short and sweet. The next one is slightly longer (by two verses or stanzas I believe). if we find enough land. since you're my dear friend. and your great big smile. is my favourite new phrase. The second poem is pretty cool because your child may add his or her own personal birthday phrase to the title and last stanza. All children are very creative so they won't have any difficulty thinking of something. This will also help personalize the invitation a little bit, so that they will feel like they helped create it. Here's a few funny invitations poems that are meant to make your guests laugh while they read your invite. and your hairy old fur. the party will be a blast. we'll use dog food to feed. Alright, so you can share that one with your friends. What about a funny one for both family and friends? That's where this one comes in. Enjoy! on a huge rooftop flag. since they are all free. but not on my yacht! So what did you think of that one? It's definitely very different from your usual birthday invitations. I just remembered that my birthday is just a few short days away. I'm thinking of using that poem when inviting family and friends via email. I'm sure they will have a good laugh. I remember my 30th birthday. It was just a few short years ago, and it turned out to be a wonderful party. Thinking back to that day, inspired me to write the following 30th birthday invitation poem. they've gone way too fast. let's leave more than a trace. bring us many more cheers. The last stanza makes a lot of sense to me personally and I can connect with it. Just like it states, I do accept my thirty years (a bit more now). I've experienced a lot. Developed lifelong friendships. Shared many beautiful moments with those who are close to me, and most importantly, met my wife and got married a few months before my 30th birthday. So based on all of that, I've been very fortunate. I also hope and believe that my next 30 years will bring many more wonderful experiences and cheers! 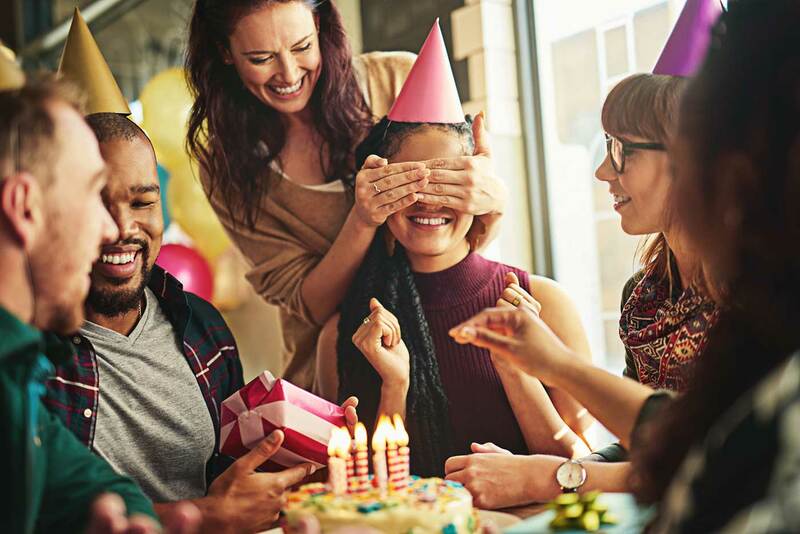 A 40th birthday is one of the most popular/celebrated milestones. There are countless jokes, funny t-shirts, and keepsakes associated with this event. Since 40th birthday celebrations are often a surprise, I decided to write the following 40th birthday invitation poem in the form of a surprise. You may need to switch the gender and name for your personalized version. I used the name Peter for the example. let's make it a surprise. begins with the big four - O.
have become a bit slow. you still have some youth. but don't tell him the truth. we all need to strive. and show that we're clever. I hope the surprise works out great. Just thinking about it, my 40th is not that far away. Right now it may seem like it is. But in reality, those years will surely fly right by, and next thing I know, I'll be showcasing my wide eyed expression to all my guests. Here's a 50th birthday invitation poem that is called, "Over The Hill". Just like the previous one, it's also intended to be funny, and make the guests laugh. should I show you her will? of her most ancient skin. is the new youth of old age. it'd be a smelly old page. a mere symptom of older. we'll all see you there. don't count and don't stare. It looks like that's the end of the birthday invitation poems section. I hope you had as much fun read these verses as I had writing them. Best of luck with your invites, and enjoy the party.